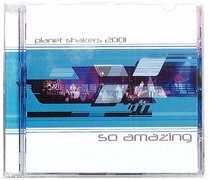 Planet Shakers in Adelaide is Australia's largest youth conference. The music from these events is contagious, with endless energy and excitement, and obvious passion for God's will. A follow up to the excellent WHEN THE PLANET ROCKED!